Situated in the heart of the business and shopping district, Grand Park Wuxi makes travelling for work or leisure a breeze. 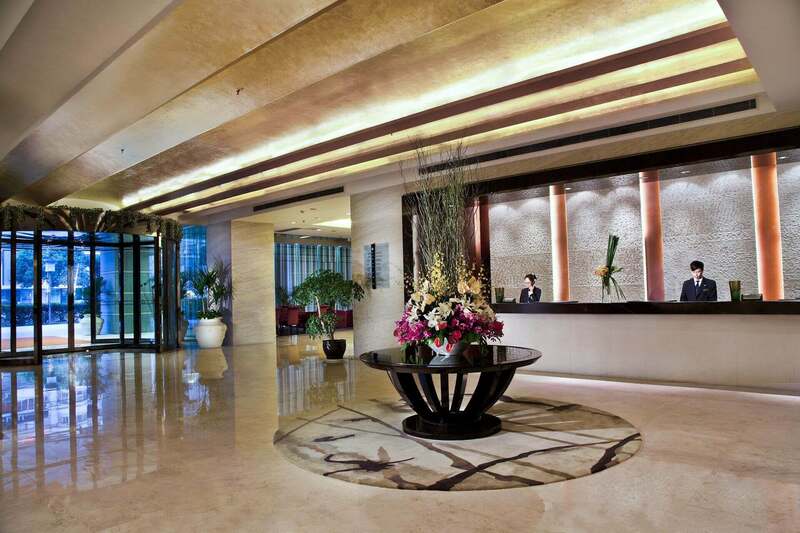 This 353-room at our 5 star hotel in Wuxi is located just two minutes from the metro station, providing guests easy access to other parts of Wuxi and surrounding cities such as Shanghai, Suzhou and Nanjing. This luxury hotel accommodation in China is also within close proximity to famous historical sites such as Lake Tai. Dining and entertainment options within our international hotel include the vibrant international buffet restaurant Indulge at Park and the intimate The Bar at Zhongshan. With a grand ballroom and fully adaptable meeting spaces fitted with state-of-the-art technology, whether your group is large or small, you’ll find this Wuxi hotel in China, the perfect setting for your business needs or holidays in China. Occupying an enviable location in the heart of the Zhongshan Road business and shopping district, our hotel in Wuxi, China is close to many tourist attractions, from historical relics to modern-day enjoyments. Wuxi’s landscape embodies the beauty of the Yangtze River. Visit Lake Tai – China’s third largest freshwater lake, just 20 minutes from the hotel, and the mesmerising Grand Canal that flows through the city. Approximately 40 minutes away from our hotel in Jiangsu, the imposing Lingshan Grand Buddha, which standing at 88 metres, is one of Asia’s tallest standing statues of the Buddha. Guarding the historic Xiangfu Temple at its feet, the bronze statue has become one of Wuxi’s most visited attractions and a symbol of the city since it was built in 1996. When travelling for business, one will find that Grand Park Wuxi’s close proximity to major transportation networks is a definite plus.